Cambridge, Mass. – With sights set on global greenhouse gas reduction, Tokyo’s IHI Corporation (IHI) has joined the MIT Energy Initiative (MITEI). 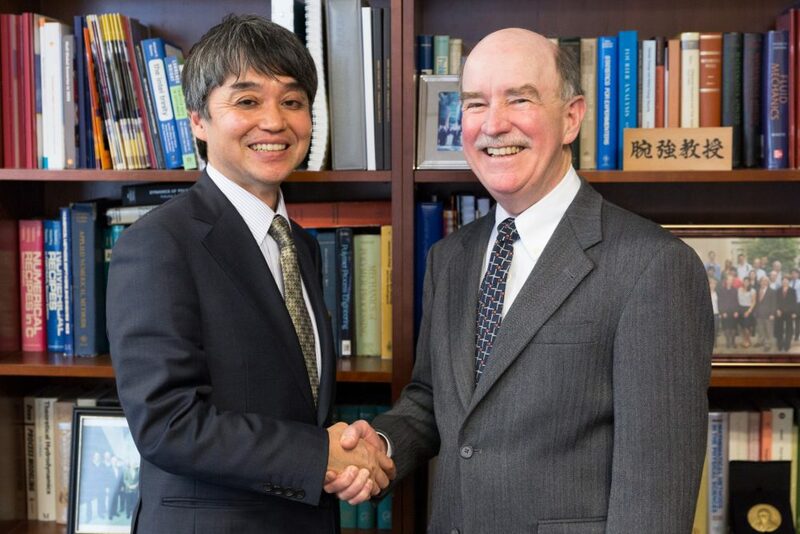 IHI, a global engineering, construction, and manufacturing company, signed a three-year membership agreement with MITEI’s Low-Carbon Energy Center for Carbon Capture, Utilization, and Storage (CCUS). IHI’s membership in the CCUS center stems from the company’s commitment to developing CCUS technologies to reduce global greenhouse gas emissions. The company is also interested in research projects focusing on low-carbon energy technologies, as well as on the future of the electric utility. MITEI’s CCUS center draws upon a wide range of expertise, from chemistry to biology to engineering, to scale up affordable carbon capture, utilization, and storage technologies. CCUS encompasses an array of technologies that seek to reduce carbon dioxide (CO2) emissions into the atmosphere by capturing it from sources such as thermal power plants and converting it into valuable products, or compressing and storing it indefinitely in the earth’s crust. Faculty from various MIT departments are conducting research that includes new approaches to the efficient capture of CO2 from a wide range of sources in the power and manufacturing industries and in the transport sector; the conversion of CO2 into fuels and specialty and commodity chemicals using molecular-level engineering; and the prevention of seismicity and fault leakage during geologic CO2 storage. The MIT Energy Initiative is MIT’s hub for multidisciplinary energy research, education, and outreach. Through these three pillars, MITEI helps develop the technologies and solutions that will deliver clean, affordable, and plentiful sources of energy. Founded in 2006, MITEI’s mission is to advance low- and no-carbon emissions solutions that will efficiently meet growing global energy needs while minimizing environmental impacts, dramatically reducing greenhouse gas emissions, and mitigating climate change. MITEI engages with industry and government through its Low-Carbon Energy Centers, comprehensive reports to inform decision makers, and other multi-stakeholder research initiatives. Additional information is available at energy.mit.edu. IHI Corporation (IHI) is a global engineering, construction and manufacturing company that provides a broad range of products in four business areas: Resources, Energy and Environment; Social Infrastructure and Offshore Facilities; Industrial System and General-Purpose Machinery; and Aero Engine, Space and Defense. IHI was established in Tokyo as Ishikawajima Shipyard in 1853, and currently employs more than 27,000 people around the world. The company’s consolidated revenues for fiscal year 2015 (ended March 31, 2016) totaled 1,539 billion yen. For more information, visit http://www.ihi.co.jp/en/.